This is the most common implant design used. As the name implies the Plastic (polyethylene) insert is fixed firmly on the metal platform of tibia. The femoral component of the prosthesis rolls over this plastic (polyethylene) insert. This design provides motion of knee joint in one plane i.e. bending and straightening of knee. 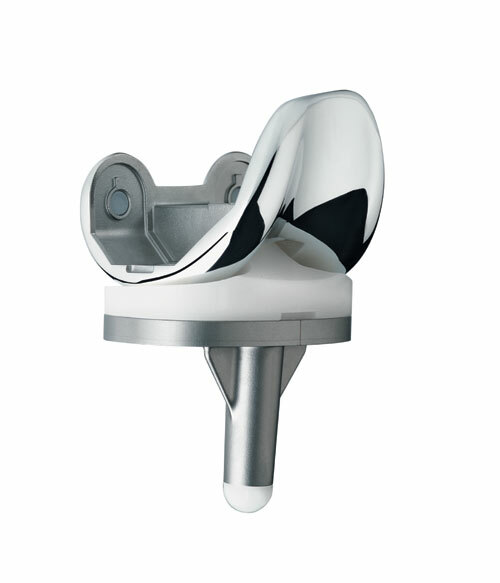 In mobile bearing knee the plastic insert (polyethylene) can rotate short distances on the metal platform of tibia. This design allows few degrees of sideways rotation of knee. 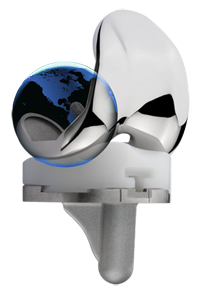 The mobile bearing implants needs good ligament support as it allows sideways rotation of knee. They are not indicated in cases where the ligaments are lax or loose. These knee designs are slightly costlier than fixed bearing designs. A normal knee has a component of pivoting motion during bending of knee. This design replicates bending, twisting and rotating of your natural knee. In order to create customized implant for a particular patient, surgeon gets MRI or CT scan and gets 3D images of the knee joint. This data is collected by the implant design companies to create patient specific instrumentation to make cuts in the bone. 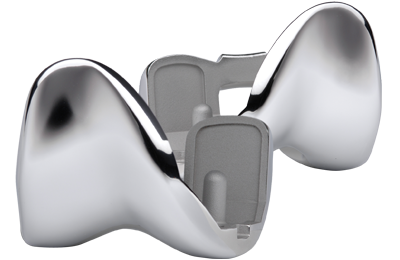 They also create patient specific knee implant which actually matches the natural knee. Research studies have shown that there is mismatch in shape and size of bones of knee joint in males and females. Due to such differences surgeons make some adjustments in the routine knee replacement surgery in order to fix the available implants especially in women. The main difference in male and female knees is the shape of the lower end of thigh bone. In females lower end of thigh bone is smaller from side to side than front to back. 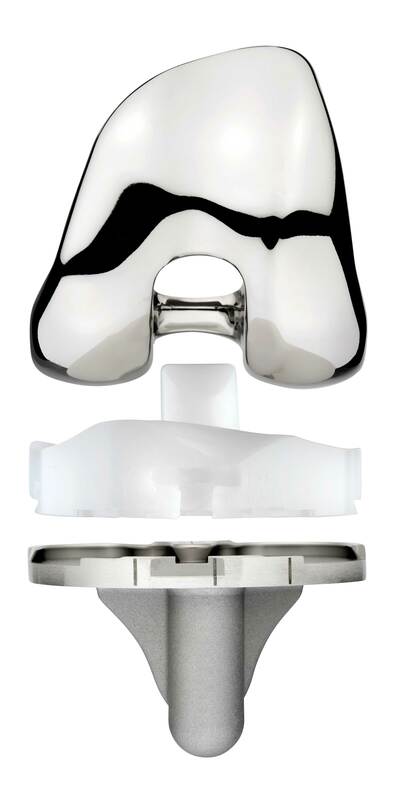 To accommodate this change some implant companies have devised extra set of knee designs to fit female knees. The choice of selecting customized or personalized implant design is a surgeon preference and changes from patient to patient. Posterior cruciate ligament is one of the major ligaments in the knee. It prevents roll back of femur over the tibia when bending the knee. During knee replacement surgery this ligament can be preserved or removed based on surgeons choice, type of implant used and during surgical balancing of knee. In this surgical technique ligament is removed. In order to compensate the function of ligament the plastic insert has raised slope in front and post in the back. The femoral component has notch to accommodate the post which gives additional stability to that of lost ligament. 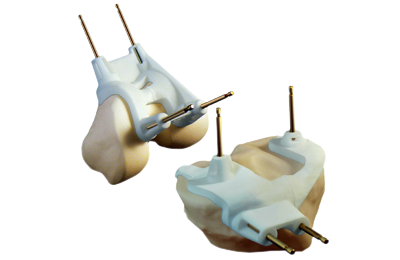 The choice of using the specific design and brand of implant is upon the surgeon. 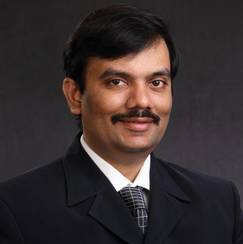 There are various factors in choosing the implant which could related to patient or surgeon himself. Surgeon can choose a particular brand and design with which he is familiar and is best suited for the patient.